My husband died in October of 2014. Three weeks after his death, my oldest daughter and I attended a workshop called “Grieving Through the Holidays” at a local church. We were grabbing for any help we could find to get us through this most difficult time of our lives. The session was fine –though perhaps too soon for us to fully grasp everything. Our emotions were raw. Our tears pooled near the surface. Ever present. At the end of the session, one of the volunteers came to pray with us. The three of us held hands and bowed our heads. This woman we didn’t know began whispering prayers of God’s tender mercy over us. She prayed for our healing. She prayed for our family. She prayed we would feel God’s presence and power wash over us as we went through the grieving process. She prayed. We listened holding tightly to each other’s hand. Then she left the patterned prayer and religious sounding rhetoric behind. She prayed that whenever we were torn or hurting or when a painful memory threatened our trust in God to waiver, that He would bring to our mind “the image of a…uh…” she struggled here. “The image of a …uh…a palm tree,” she finally said. A palm tree? Really? Allison and I looked at each other. “Well,” I began. “We’re from Florida and Tom loved the beach.” It was weak. We all knew it. Allison shared the story with her sisters so for Christmas that year my tree was decorated with palm tree ornaments. Though it turns out you can find palm tree ornaments in stores, most of mine were lovingly handmade by my children and grandchildren. We’ve laughed about the incident from time to time. We’ve seen palm trees in the most unusual places in our travels. They prove to be a great conversation starter. But a comfort? Then came May 15, 2016. A Sunday. I enjoy the preaching of Rob King at the Vineyard Church in Cincinnati. He is fun and informative and very much anchored in the Word. The title of his sermon was “Roll With It.” He said it was about having a faith and trust in God that will roll with the punches of life. He talked about the way bridges are constructed to be flexible. To give a little. To not be so rigid as to break. And then he used the example of a…you guessed it? A palm tree. “God designed a palm tree with the interlocking kind of cable work that goes all the way up and deep in the ground.” Rob talked about how the palm will withstand hurricane force winds and never break. I know. 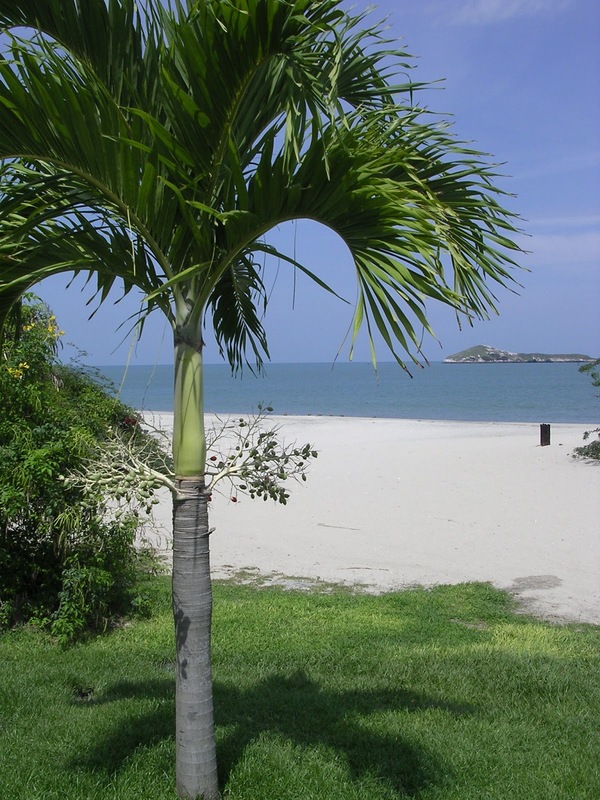 I’ve see palm trees bend nearly to the ground in tropical storms without breaking or becoming uprooted. Unwittingly, I think that woman who prayed with us that November evening was praying for the same thing. A deep-rooted faith…A trust in God that is flexible enough to bend and not break when the storms of life come at us with gale force winds. So where do we find that kind of faith? A couple of days ago, my five-year-old granddaughter called me to sing a song she learned in school. The song says if we read our Bible every day and if we remember to always pray, we will grow strong. And it basically says without that daily connection, we will shrink…shrivel up. “Neglect your Bible and forget to pray and you’ll shrink, shrink, shrink. Read your Bible, pray every day and you’ll grow, grow, grow,” she sang. So do you have any “palm-tree” moments? I would love to hear from you. 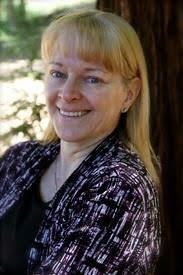 As promised, the third Wednesday of the month I feature a fellow author. Today I had the joy of interviewing Renee-Ann Giggie. Two years ago, Renee-Ann appeared as a guest blogger on A Novel Creation talking about indie publishing. We met at my first-ever writing conference and have supported each other in our writing efforts ever since. Networking. Powerful stuff. Renee-Ann: Well…I had a contest and if memory serves me right, YOU won. (She laughs) My novels are standalone, but each of the titles are similar as though they were a series. The first was Stella’s Plea, the second is Emma’s Prayer, and the next will be Charlie’s Plight. Me: I did. I won! I wasn’t looking for praise there, but I do think the contest was a great way to connect your readers to your book. What led you to become an author? Renee-Ann: My mom was a newspaper reporter so one could say I inherited the ‘writing bug’. As a teen, I always said I’d be a writer someday. It took longer than I hoped… but I did it! Me: Tell us how you finally got started. Renee-Ann: I entered the NaNoWriMo challenge, where you have to write 50,000 words in 30 days (three pages a day). Falling in love with my characters along the way, I met the challenge, hired a professional editor, and after months of edits and rewrites, I self-published Stella’s Plea. Me: I love it! I know other authors who have jumpstarted their writing by participating in NaNoWriMo. And for those of you new to writing, NaNoWriMo stands for National Novel Writing Month and takes place in November. Check out their website for more info. Now, Renee-Ann, NaNoWriMo certainly keeps you on task during the month, but how do you stay focused and maintain that writing discipline on a regular basis? Renee-Ann: Oh, that’s a hard one but it doesn’t have to be. I look at it as I would my full time job. When I go to work in the morning (yes I still hold a full time job in an office), I do what needs to be done or my boss won’t be happy. The same goes with writing. I sit at my desk and put fingers to keyboard. Turn off Facebook, email, and whatever else keeps you from writing. If my boss saw me checking Facebook instead of doing my job, he wouldn’t like that. Same thing with writing. Discipline is key. Me: Where do you get your story ideas? Renee-Ann: People. Watching and listening to others in the stores, on the street, and well, everywhere. Then I turn to God for the inspiration, and how to develop those ideas. Me: And I know you incorporate your knowledge of the deaf community in your work. I think that is incredible. I’ve read both Stella’s Plea and Emma’s Prayer. Both are excellent. Me: So what advice would you give to aspiring authors for writing and/or publishing? Renee-Ann: Don’t quit. We’ve all heard it before but perseverance pays off. The temptation to give up comes to everyone, especially when we hit writers block. The way I look at it is that, if bestselling authors can get writers block yet they continue to write amazing novels, it can happen to me too. If you really want it, keep pushing. Remember you’re not alone. And then learn how to market your work. At first I had no idea how to sell my book. I’ve always said: Writing is hard. Editing is harder. Marketing is the hardest. Me: Good advice. And so true. Okay, one last question. Would you tell us a little about your latest book? Renee-Ann: I would love to…Emma’s Prayer deals with a teen mom who puts her son up for adoption but soon changes her mind. Her pain, her longing for that child, and the guilt of putting him up is more than she can bear and she wants him back. Across town a childless couple are waiting to adopt and they’re delighted when a baby boy is placed in their arms. Is heartache inevitable? And, oh, yes, I’m on track to publish the third book, Charlie’s Plight in 2017. Me: Renee-Ann, thank you so much for today. I appreciate you taking time out of your busy schedule to join us. Readers, if you have questions or comments for Renee-Ann, she is standing by her computer, ready to connect with you! 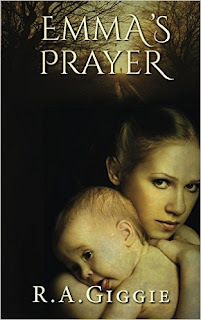 And be sure to check out Renee-Ann Giggie's book, Emma's Prayer. She has put it on sale for this event! CLICK HERE or on anywhere I have mentioned the book! I post quite often about the benefits of connecting with other writers. Critique groups, gatherings of those who write in your genre, experienced writers and published authors sharing the ins and outs of their craft with those of us still plodding along… it is powerful stuff. I belong to an organization called the American Christian Fiction Writers (ACFW). You may recall I had the joy of attending the national conference of ACFW last September. That is a wonderful opportunity in itself, but once a month those of us living in Ohio get together to share our own writing experiences. I’ve made some great friends through the Ohio chapter. Hats off to Tamera Lynn Kraft! This year, under the direction of Tamera Kraft, we have an interesting program agenda. We will be looking at everything from screen writing to children’s literature. We’ll explore formula writing, indie publishing, marketing and more. I’m excited. I love having a once-a-month shot in the arm for my writing. And I love being able to share with you what I’m learning. 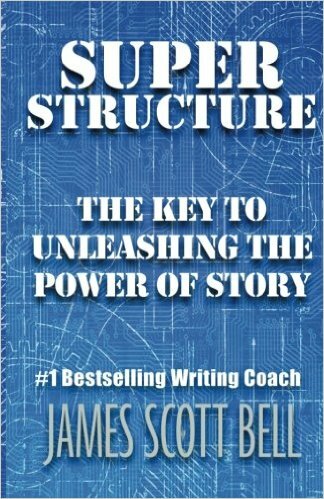 Last Saturday’s session was on “Signpost Plotting.” Tamera shared her take on SuperStructure by James Scott Bell (a giant in the industry in my book). I was so intrigued I ordered the book. Though it hasn’t yet arrived on my doorstep, I decided to share my “take away” from the meeting. I urge you to seek out the book for yourself. And read Plot andStructure as well if you really want to understand the underpinnings of writing your novel. We all know that a novel is generally written in three acts. Acts I and III comprise about 40% of the book while the bulk of the story unfolds in Act II. Bell notes that in each act there certain signposts are present. We need to watch for…uh…plan to include those events to keep the novel moving in the right direction. I won’t go into all of the signposts here. Read the book. I do want to highlight some of what I learned from our discussion. I hope you find it as intriguing. In Act I we should be able to find the “Disturbance” signpost in the opening lines. There should be a clear indication that something is not right. Something is “off.” There are four other signposts in the first act, all with a purpose. They include incidences that help us identify with the main character, give us a clue that trouble is brewing for our main character, and culminate in the inciting incident…that moment of no return. We put our character on a path and now he or she must travel that road. 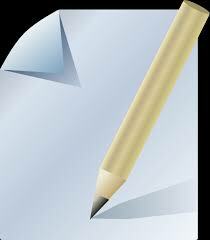 It will be our responsibility as writers to help our character overcome seemingly insurmountable obstacles. Disturbanceà Molly Tipton followed her husband through the wide glass doors of the emergency room to the nurse’s station. A male nurse, on the telephone at a desk at the back of the cubicle, didn’t look up. Molly’s heart pounded. She brought her hand down hard on the bell in front of her. Act II, the largest portion of the book, has four signposts to include. The most curious to me was what is known as “the mirror moment.” It happens almost smack dab in the middle of the story when the main character looks in the mirror either literally or figuratively and confronts him or herself with the “who am I or what do I need to do to change” question. I hadn’t read about these signposts, so I wondered if I indeed had included such a moment in the middle of Breathing on Her Own. The Mirror Moment à Downstairs, Molly went into the bathroom and closed the door. She shook. Never before had she been that close to losing her temper with Hunter and Ellie. Would they hate her for it? Hands on the sink’s edge, Molly leaned heavily on the new granite surface. A pang of self-pity knifed her heart. Hadn’t she already raised her own children? Slowly raising her head, Molly studied her image in the mirror. What was it she had been thinking before the children started fighting? Can you believe it? I actually had a mirror moment right in the middle of the book! I was in shock. And a bit relieved. It is affirming to go back into something you wrote and find the signposts right where they should be. The final signpost for Act II is the “Doorway of No Return.” This is where our character must move forward regardless of what lies ahead. Here is the beauty of using the signpost idea: You don’t have to start with each element strictly defined and outlined. You can write the story you need to write and apply these pieces during the revision stage. The signposts will help remind you...me…all of us where we are in the novel and what we need to clean up or add to get to the bare bones of the story. I’m anxious to hear your thoughts. Leave a comment and let me know if you find this helpful. 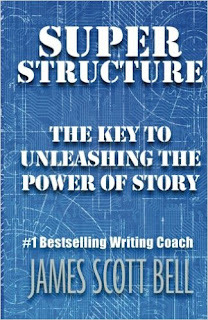 If you want to order Bell’s book, Super Structure: The Key to Unleashing the Power of Story click on this link. 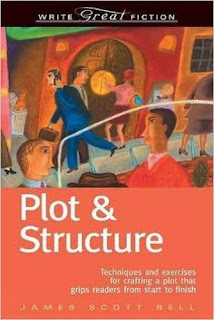 And I highly recommend his book, Plot and Structure as well. Be sure to check in next week. See you then! I started the blog as a way to explore the process of writing. I know I’ve used it to share personal experiences from time to time, but it isn’t that what shapes me as a writer? And I like being able to feature up and coming authors on the blog as well. One of them may be you one day! So what’s next? A schedule. I’ll continue to write about writing. I’ll continue to feature other writers and their work, and I’ll continue to be reflective. My intent, however, is to do this on a schedule. I’m dedicating the first Wednesday of the month to the “business of writing.” This includes planning, marketing, blogging and so forth. The second Wednesday will address issues of crafting the novel. I research and share what I’m learning as I write. The third Wednesday is my opportunity to feature other authors. This will include interviews (And yes, I may try my hand at a few video interviews in the future. ), guest posts, and book reviews. I am saving the fourth Wednesday of the month to be personal and reflective. Life doesn’t always shape up on schedule, but as often as possible, this will be my plan. So what shall I do with the occasional fifth Wednesday? The plan is to offer excerpts from my own writing on those days. It’s a plan. Now to put it to work. Oh, and the winner of the gift card last week was Nancy Hallo of Hudson Florida. Congrats, Nancy!